I chatted with everyone’s favorite Senator from ‘The Wire’, Isiah Whitlock Jr, about his new Money Head, “Pete’s Dragon, Hillary Clinton, and Donald Trump. Q: So I hear you’re currently shooting the TV show “The Mist.” What is it about? It’s a novella by Stephen King, which they made into a movie a few years ago. It’s a series about a mist that overtakes a town and terrorizes them. The show delves into the townspeople, their personalities, and their humanity through this crisis. I think it’s going to turn out fantastic. 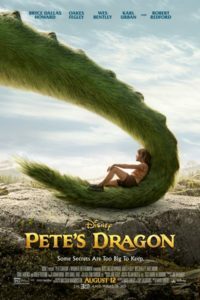 Q: You’re also in “Pete’s Dragon”, which is currently in theaters. What is it about and who do you play? 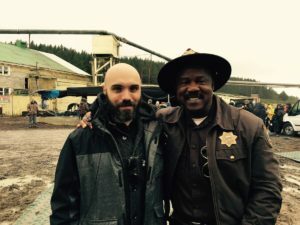 I play Sheriff Dentler. It’s based on a older Disney classic. It’s about a kid who is left alone in the forest after his parents are killed while they’re camping. While in the forest, he’s cared for by this dragon. It’s a beautiful film..it NEVER jumps the shark. It’s a great film for everyone. Q:What was it like filming in New Zealand? That was really amazing. It was..an experience. Whenever I would have free time, I would rent a car and just explore. Australia is very down under..New Zealand is just a little further down under. I had a fantastic time..you don’t get too many experiences like that. Q: What would Clay Davis think about Hillary’s email scandal? ::laughs:: Clay Davis would’ve had that locked up a while ago. It would’ve NEVER gotten out. I think Hillary needs to take a few lessons from him. Not saying he would’ve made it go away, but he could’ve explained everything a lot better. I think she thought it was going to go away, but it hasn’t. Looks like it’s going to take us up until the election. Q: What is Clay Davis’ thoughts on Trump? “Sheeeeeeeeeit.” ::laughs:: I think that says it all. Q: Would Clay Davis ever run for President? You know, I was thinking about what a Clay Davis ticket would look like. I think a Clinton/Davis ticket would be great, but Hillary’s already having a trustworthy problem. Q:What about a Davis/Carcetti ticket? Oh.. ::laughs:: I can’t see Carcetti agreeing to be VP. 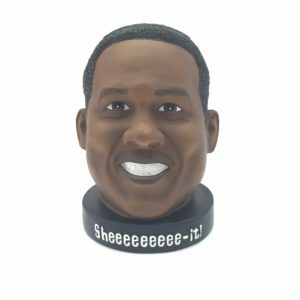 Q: What is the Isiah Whitlock Jr Money Head that launches today?